An American desert wonder; home to archeological and cultural treasures. Sounds like something worth permanent protection, right? A broad coalition of Hispanic leaders, veterans, Native Americans, sportsmen, small business owners, faith leaders, local elected officials, and conservationists from southern New Mexico agree. That’s why they support a bill working its way through Congress right now that would protect key areas within the existing Organ Mountains-Desert Peaks National Monument in New Mexico. Introduced by New Mexican Senators Tom Udall and Martin Heinrich, the bill would designate new wilderness areas and protect critical wildlife habitats and Native American artifacts. Before breaking down the bill, there are some important notes to make. First, there are several federal, state, and local ways to protect public lands. National parks and national wildlife refuges are two examples. But there’s one form of designation that best preserves the natural characteristics for all generations to come: federally designated wilderness. The bill introduced by Senators Udall and Heinrich would create over 241,000 acres of new wilderness designations. This would protect existing public lands within the Organ Mountains-Desert Peaks monument such as the Aden Lava Flow Wilderness, Broad Canyon Wilderness, Cinder Cone Wilderness, and the Whitethorn Wilderness. The bill ensures that part of the Potrillo Mountains Complex will remain open for law enforcement, border security, and grazing by authorized permittees. The legislation allows for greater Border Patrol flexibility and security according to US Customs and Border Protection. If protecting rare plants and animals, untouched wilderness, and historically significant lands are not enough motivation to pass the Organ Mountains-Desert Peaks Conservation Act, then you should also factor in the increased border security and the fact that outdoor recreation contributes billions to New Mexico’s economy. Want to see this bill passed? 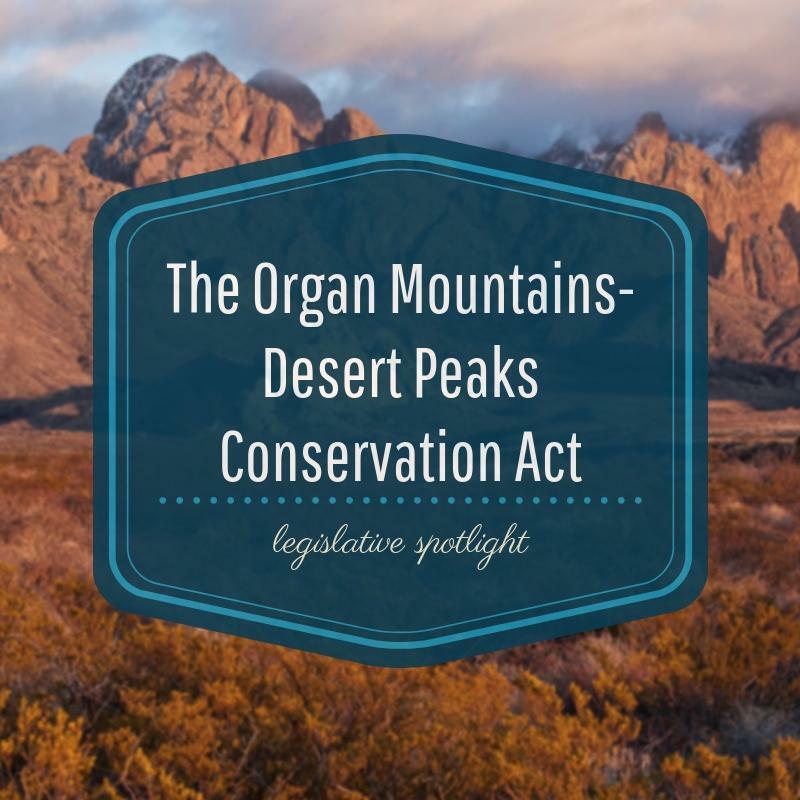 Contact your Senator and Representative to let them know you support the Organ Mountains-Desert Peaks Conservation Act (S.441). Click here to read the official bill text and summary. Lucero Cantu is a communications strategist looking for her niche at the intersection of communication strategy and political science. She graduated from the University of North Texas (UNT) with her Bachelor of Arts in Political Science.